A dictionary is a great tool and even a great bedside book. 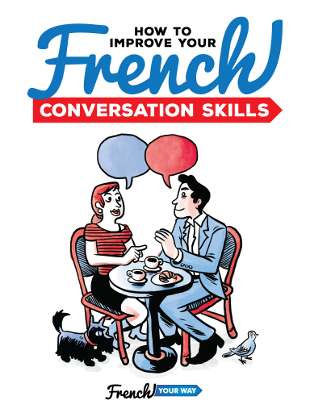 I love exploring it, flipping through to discover complicated or funny words, in English or in French. However, you should not cling to your dictionary as you would cling to a lifebuoy. Dictionaries can be so big and heavy that they would make you drown – quite the opposite of what you would expect from them. find out which dictionaries I recommend. When you are in the middle of a conversation with a native, you wouldn’t make them wait while you flip through all the pages of your French dictionary or type in your electronic device, would you? When you are writing, a English/French dictionary proves to be a very precious resource indeed, but some students fall in the trap of relying on it so much that they end up losing all common sense and end up translating from one language to the other literally. Not efficient! What’s more, the word is not always chosen correctly. I’ll come back to this in a minute. check the conjugation of irregular verbs. When you read, the reason why you don’t want to look up each and every new word is that you will end up not only very distracted/interrupted in your reading but also discouraged in your efforts because there can be many unknown words. Tip: Use the context to guess the meaning. Only look up a word when it really prevents your understanding of the message as a whole. Otherwise just move on with your reading. Not everything is important. 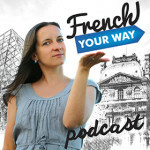 Also, choose a book according to your level in French: see my article “Reading French Books: Where to Start?” and my “Recommended Reading List”. Tip: Class time gives you the opportunity to ask questions and discuss anything with your teacher and fellow students. Therefore, any question you may ask will also be beneficial to others – especially as some students feel shy. Remember that there is no such thing as a stupid question. If a dictionary indeed is a great tool to have, the thing about a tool is: you need to learn how to use it…otherwise it will do the exact opposite of helping you ! Notice that there is often more than one suggested translation for a single word. You’re not supposed to just pick the first one and assume that the rest has been printed for ornamental purposes! The following example illustrates an incorrect use of the dictionary from one of my French students. not : « Je voudrais devenir pilote pour la mouche autour du monde » ! The abbreviations and indicators/indications (often in italics or in between rounded brackets) will give you valuable information to help you choose wisely between the different types of word and understand the meaning/language register. In example #1, a native French speaker would not have been able to understand you. But it could be worse (and I hear you ask: “What could possibly be worse than not being understood when it comes to speaking a language ?”). Well : being unintentionally rude or crude ! Innocently saying something that will be interpreted totally the wrong way ! One of my students had to imagine and write their horoscope. He looked up the word for “kiss” and wrote “vous baiserez une grenouille (etc)”, which actually means no less than… “you will screw a frog”! This is what happened: just like in the previous example, my student started by choosing the wrong type of word: in “you will kiss a frog”, the word “kiss” is a verb, not a noun. If you look at the noun, “un baiser” is “a kiss” indeed. But used as a verb, the word “baiser” has now shifted in meaning and is very rude (unless it is used with a body part, such as kiss the forehead/hand of the person)! Use sparingly…and with common sense! 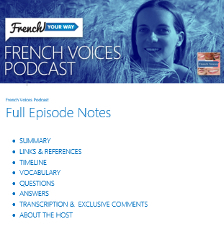 Enjoy and use your French dictionary efficiently and sparingly. Test yourself with my free practice worksheet (PDF). Which French Dictionary to Use? Here are the dictionaries that I use myself. 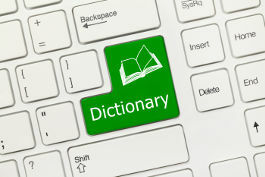 Online dictionaries to find a solution in one click ! I always use the free online Word Reference dictionary for bilingual English/French reference (other languages available) because at the bottom of the entries, there are links to forum threads where people can submit their questions and discuss to find a good translation of expressions that may not be in the proposed results. Many of you may be using Google Translate. I will write an article about it later. If you need to translate a word from English to French that you don’t know, you will need to use a bilingual English-French dictionary. Share your experience! Do you have some examples of mistakes you made because of an incorrect use of your dictionary?